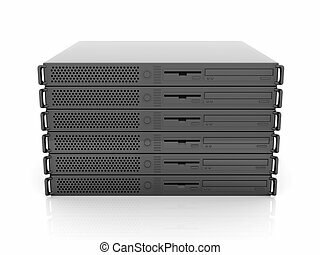 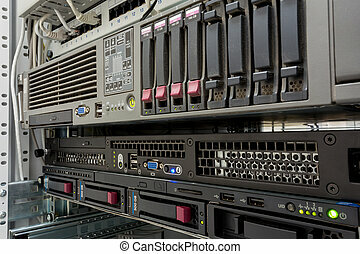 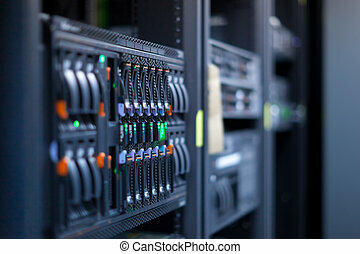 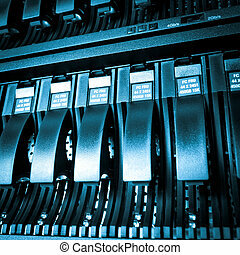 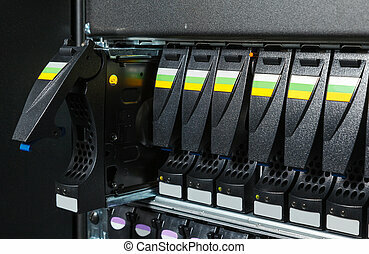 Servers stack with hard drives in a datacenter. 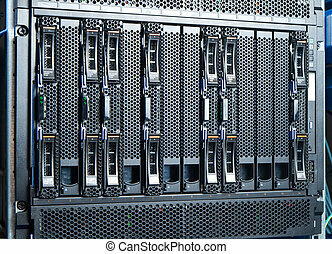 Servers stack with disc drives in a rack and glowing lights in data center / computer room. 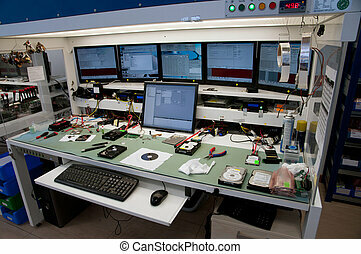 Modern laboratory for recovering data from hard disks and digital media. 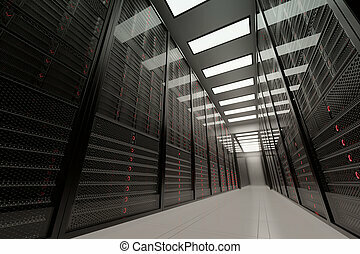 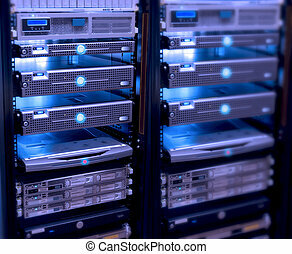 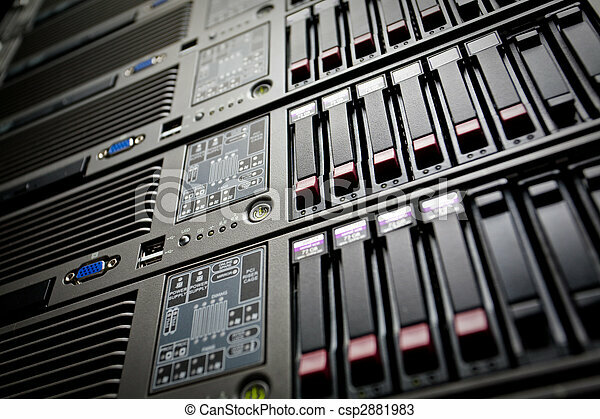 Image presents a bottom view of a room equipped with data servers. 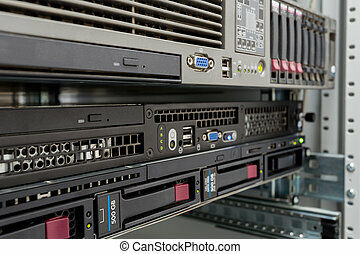 Yellow LED lights are flashing. 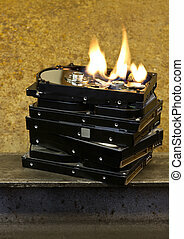 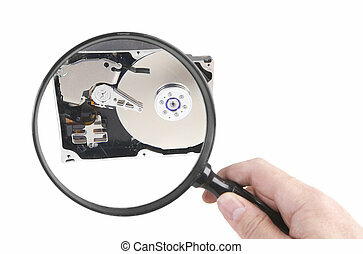 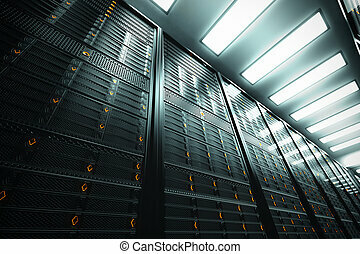 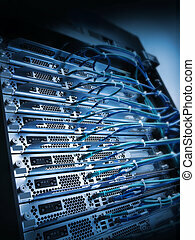 Image can represent cloud computing, information storage, etc. 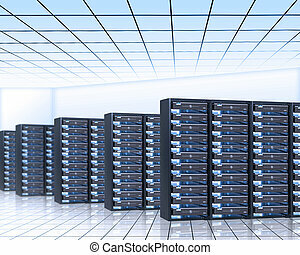 or can be the perfect technology background.